Respect! Looking forward to see some "making of" . . . . especially making of shaders . . . .thanks for sharing! gorgeous images Juraj! so many nice small details and perfect materials. So, it come out as a realy nice set of images :) Can't wait to see some tips and learn some things. perfect renders !!! mindblowing !!! Can you tell please from where is black wood texture on facade? I need something similar in the project I´m working on right now. Thanks and once again - perfect job !!! Can you tell please from where is black wood texture on facade? I need something similar in the project I´m working on right now. 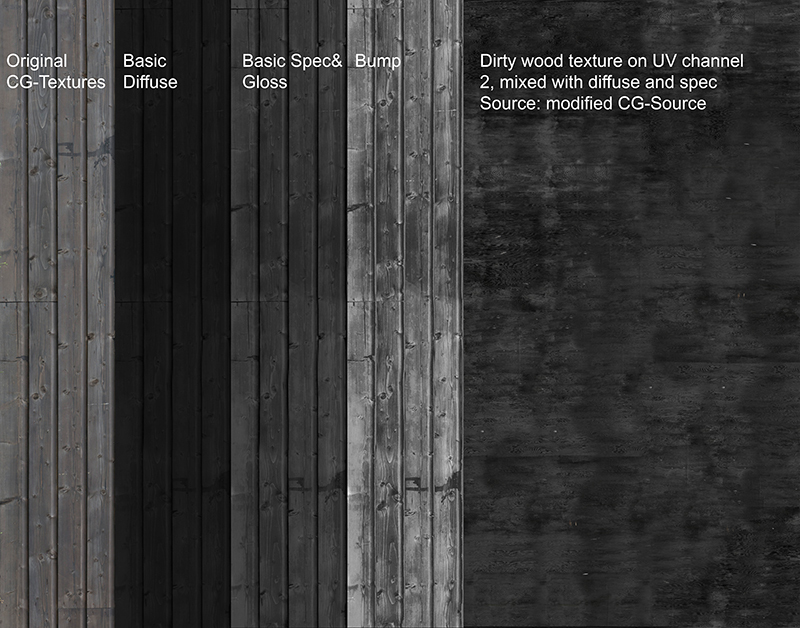 It's not the best texture, but we all know how hard is it to get wood textures :- ) This was is from cgtextures. Nothing else, no displacment texture ? Really like this thread... should have watched it earlier :) but thanks to your post on facebook/ronen i finally found some insight to that amazing corona project. Nope, because it is mapped to real chamfered geometry, it's more effiecient and precise. It's just not using multitexture. Thank you Ďuri for showing your materials ! Tomorrow will be funky day, because we decided to teach for free for few Fridays until Christmass at local Architecture faculty, FA STUBA, mostly showing architecture students how to fast and efficiently visualize their studio projects. Not sure what to expect of this..bit crazy right now, considering I barely have time to sit down due to work. Come here in France Juraj, we will be a lot to learn !